Providing we can thrash out a deal with Gremio, ten years after our last negotiations with them, Lucas will be returning to Brazil this summer to his boyhood club. We bought the midfielder from Gremio in 2007 when Rafa Benitez was in charge, and after a decade of service, it looks like the 30-year-old may complete the loop. “There was an offer from Gremio in January but I wanted to complete 10 years at Liverpool,” he told the Echo. 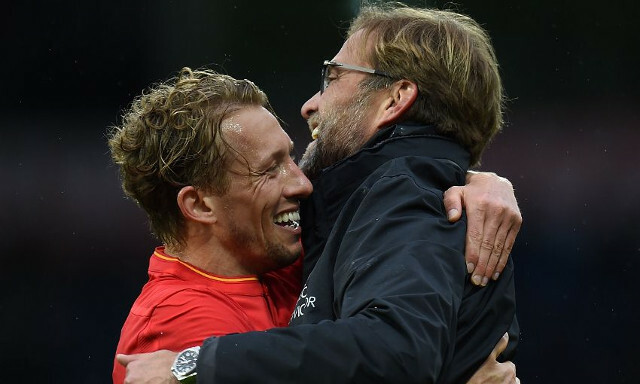 Lucas spent most of last season on the bench, and with Jurgen Klopp set to raid the transfer market for midfield reinforcements, his chances of game-time in 2017/18 appear slim. With his contract expiring in a matter of weeks, our longest serving player will be able to choose his next club. A romantic return to Gremio would work, but Lucas is only 30 and still has what it takes to play for most European clubs. Bar the top six, he’d get in any other Premier League team, although it’d feel mighty strange to see him lining up against us at Anfield!